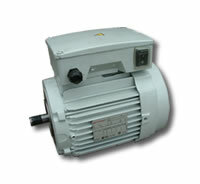 We offer our electric motor repair services to customers across the area including and the region. With over 50 years of experience based in the Maidenhead area covering Berkshire and the surrounding counties we have built up a vast degree of experience serving customers in and other local town. We specialise in the repair and replacement of electric motors to customers in and around working with all types of low/medium voltage industrial AC/DC units. We offer a fast turn around on all repairs and can load test upto 200kW and run up to 4.0kV. We can also supply a range of spares to customers in including pulleys, belts and bearings.